I wanted to do a quick review of the Think Tank Street Walker Hard Drive 2.0. I will also be comparing it to my original Street Walker Hard Drive, along with my Street Walker Pro 2.0. Thanks to Think Tank Photo for sending this bag for me to review. Lets start out by looking at what I am going to carry inside this bag. I have my Nikon D5, D850, both of them have the Really Right Stuff L Bracket attached. I have the trinity of Nikon lens, 14-24, 24-70, 70-200, 8-15mm fisheye and the 28 f/1.4E. I also have my Macbook Pro Retina 13″, 3 Legged Thing Albert tripod, Battery Charger, and other miscellaneous accessories like my Pixel Pocket Rocket. 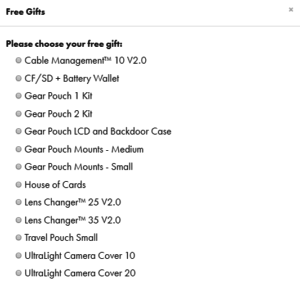 There is even room left over, perhaps for a Z7 Mirrorless. 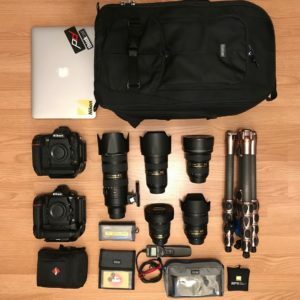 I know this is a lot of stuff to carry, but its what I usually carry thru the parks when I come down to shoot. And as they say, better to have and not need, than to need and not have. My first impressions are that this bag is quality made, as all Think Tank bags are. 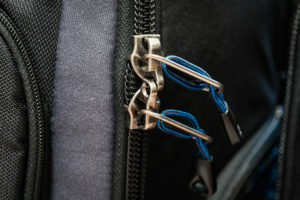 The exterior is made with a ballistic nylon and it has these amazing YKK zippers. The main thing that stands out on this bag is the shoulder straps, they are thick and nicely padded, just like every other Think Tank backpack. The straps are comfortable, even when carrying a heavy load. 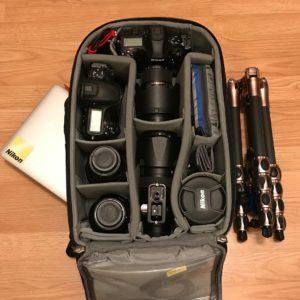 Straps are one of the main selling points for me when it comes to choosing one camera bag over another. Think Tank bags also come with a dedicated rain cover which helps when you’re caught in those Florida downpours. 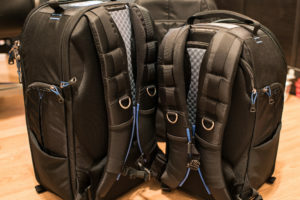 This past trip in July, I used a bag from another brand, and while the bag held all my gear fine, the straps were so thin they hurt my shoulders after a short time. 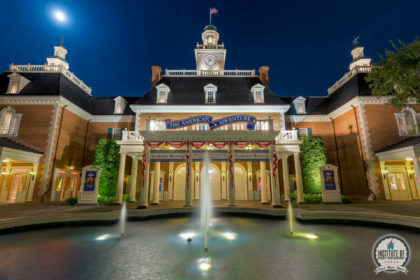 I usually go from early in the morning (about an hour before Extra Magic Hours or Rope Drop), all the way to an hour or two past close. Needless to say, the bag I use has to be comfortable or I will be miserable for the 15-16 hour day. 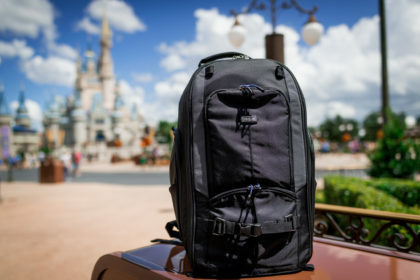 A couple nice features of the bag, especially for Disney photographers, is that you can open the main compartment and show security everything in one shot. The pouches up top are see thru and holds miscellaneous items perfectly. A big improvement is the location of the tripod mount, on the 2.0 both mounts are on the front panel, where on the original, it is by the hand strap of the main body. On the Hard Drive and the Pro, there is a extendable pouch that holds the larger tripods. This pouch comes out of the bottom pocket in the front. Think Tank does offer two smaller sized bags. The medium sized one is the Streetwalker Pro 2.0, This would be perfect for a single gripped camera, with 4-5 lens. The design on all of the Street Walker series are all very similar. The Smallest of the lineup is the StreetWalker 2.0 If you are shooting with a mirrorless setup, or a smaller DSLR, the StreetWalker 2.0 may be the best to suit your needs. This bag still offers tons of room inside the main compartment to fit your body and a bunch of lens. 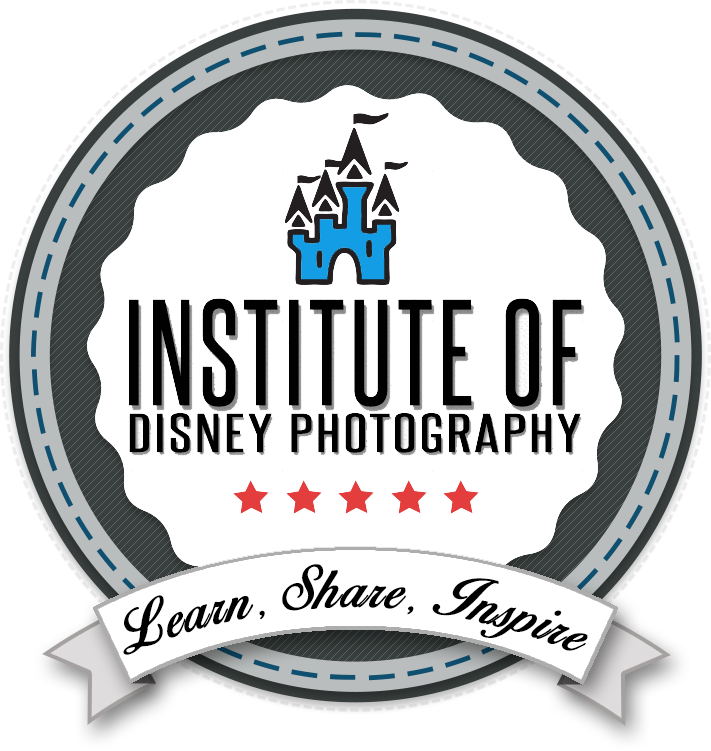 In conclusion, this is why I think the StreetWalker is one of the best backpacks for Disney photography. The straps are thickly padded and comfortable for those long days in the parks. The bags open up easily to get you through security inspection. No matter what type of gear you use, there is a bag in their lineup that can accommodate your gear. One of our admins David and I will be going on a September trip where I will be putting this bag to good use. Please check back here for a post trip review. 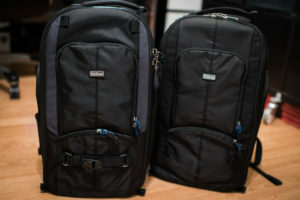 Again, a big thanks to Think Tank Photo for sending this bag for me to review.